Through routine maintenance, you can keep your CR-Z running for years to come, ensuring that it will continue to perform at its highest level. Our Honda service center near Jackson is filled with knowledgeable and skillful technicians, ready to help you keep your CR-Z in incredible shape. Take a look at the recommended service schedule provided by Honda, and be sure to stop by for your necessary service appointments at the suggested intervals above. 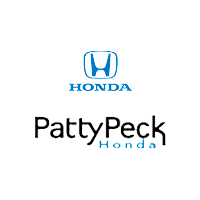 If you’re due for maintenance, simply make an appointment at Patty Peck Honda by calling our team at 601-957-3400 today!